That well-worn bit of advice from Yogi Berra is one way to envision the quantum information research taking place in the Oregon Center for Optical, Molecular, and Quantum Science at the University of Oregon as part of a $3.5 million grant from the John Templeton Foundation. “Is life a classical physics process or a quantum physics process?” asked Michael Raymer, a Knight Professor in the Department of Physics and co-principal investigator on the project. Classical physics describes the world we see around us every day: static electricity, the orbits of planets and the pull of gravity. Quantum physics looks at matter and energy in their most elementary forms, a world where “quantum objects” behave in unfamiliar ways that appear to defy our commonsense notions of reality. In the “classic” way of thinking about the fork-in-the-road question, there are only two options, right or left. 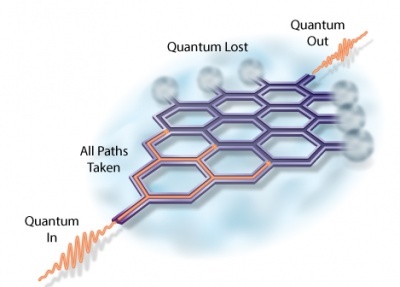 But when examined through the lens of quantum information sciences, a quantum object, such as an electron or a photon, takes both paths — right and left — or even multiple paths through a network of different forks, and then emerges on the other side with properties from all of the different routes it took. Gaining a better understanding of the principles of quantum information sciences as they pertain to processes central to biology is key to Raymer and Marcus’ project. They aim to create quantum simulations of complex molecular networks using novel optical equipment. The three-year project totals more than $3.6 million and includes the Templeton grant in addition to a $50,000 grant from the M. J. Murdock Charitable Trust and $50,000 in seed funding from the UO Office of the Vice President for Research and Innovation. The project is being led by the UO and involves joint work between Raymer and Marcus’ groups at the UO and researchers at Harvard University, Oxford University and University of Ulm in Germany. The project includes 20 grant-supported researchers, including eight principal investigators and their postdoctoral and other students, plus additional affiliated researchers. The project will be the focus of the newly created Center for Applied Quantum Science, affiliated with the Oregon Center for Optical, Molecular, and Quantum Science. “We anticipate that the UO can become a leader in the growing field of applied quantum sciences,” Raymer said. At the heart of the research is the question of what role quantum physics plays in the way biological molecules function. Central to the research project is the question of whether “quantum coherence” — a feature of quantum physics that explains complex phenomena — is important to energy transfer in living organisms, such as the process of photosynthesis. The team aims to use model systems created in the lab to determine whether such principles could be at play in real biological systems. The John Templeton Foundation supports research on subjects ranging from the foundations of quantum physics to “complexity, evolution, creativity, forgiveness, love, and free will.” Founded by the late Sir John Templeton, the organization seeks to advance human progress with breakthrough discoveries relating to the “big questions” of human purpose and ultimate reality. The research project addresses fundamental scientific issues at the intersection of molecular biophysics and quantum information science. The project brings together quantum physicists with quantum chemists and molecular biologists. Many of the possible developments surrounding the research involve still-nascent technologies, Raymer said. Quantum information science has the potential to improve everything from internet and computer technology to atomic clocks. 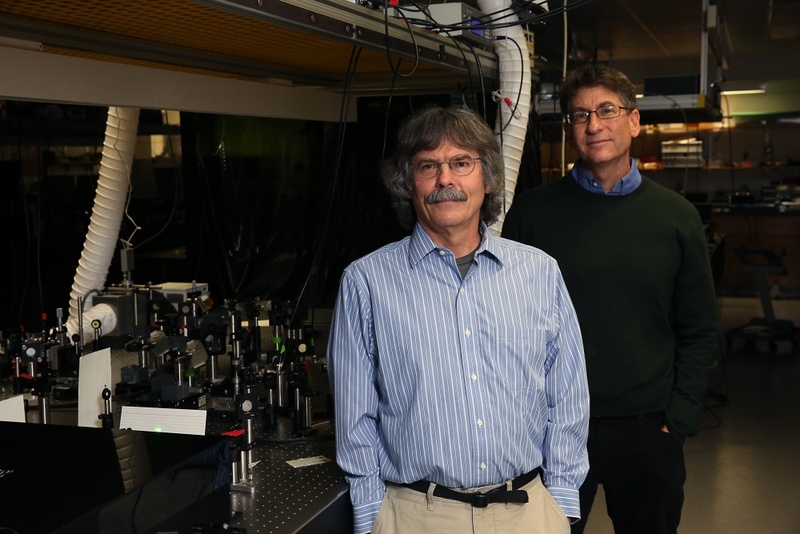 A key piece of equipment for the project will be a first-of-its-kind spectrometer, funded by the M.J. Murdock Charitable Trust, that will use the quantum properties of light to reveal new information about the quantum properties in molecules. It should help distill the complex processes beneath the surface so that the team can better understand them.